The first time I had these marvelous marinated carrots was several years ago at my Mom’s one Thanksgiving — she called them copper pennies. I’m not sure where she got her recipe, but after one bite I was hooked! 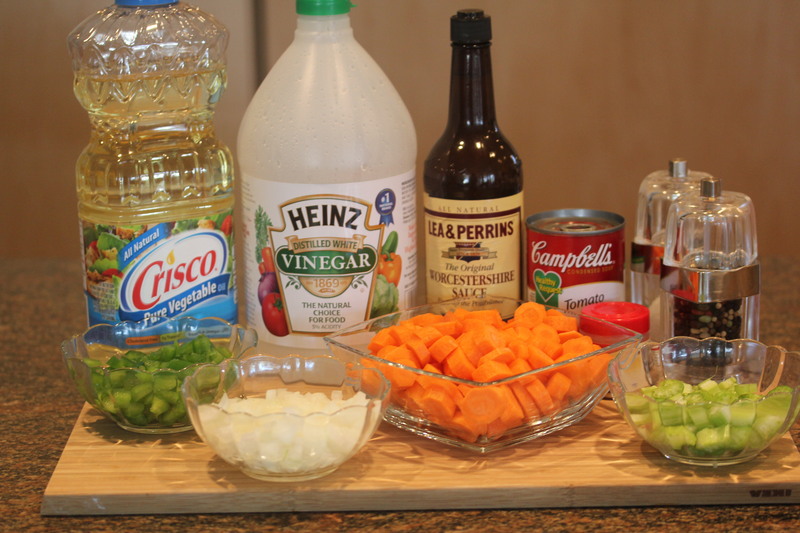 The carrots are slightly cooked and mixed with green peppers, onions and celery to give this salad a nice crunch. Add a tangy marinade and chill overnight and you have a colorful, healthy and tasty salad that is good as a side dish or can stand alone as meal on its own. There are a number of recipes for these great carrots on the Internet and I came up with this one based on how Mom makes them as well as my own personal tastes. I love celery and many of the recipes I saw did not include it, so leave it out if you want and increase the amount of green peppers instead. 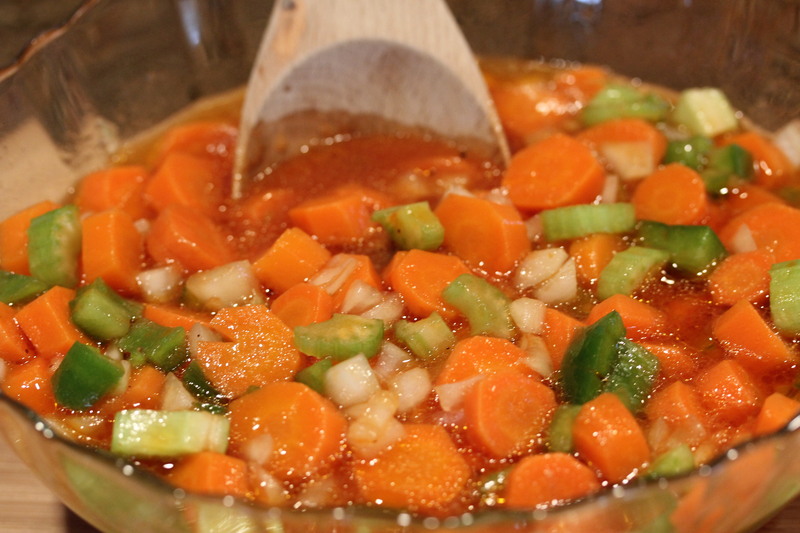 Bring a pot of water to boiling, add the carrots and cook for 4-5 minutes. You want the carrots to be tender but still firm. 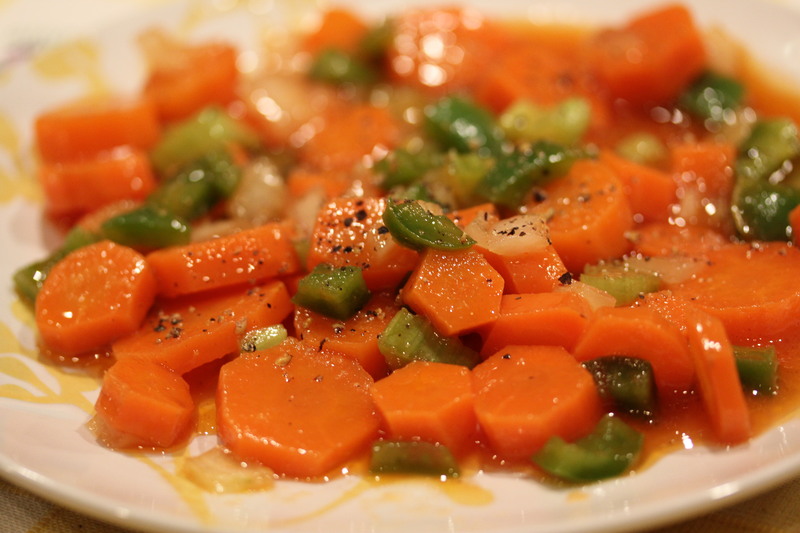 Remove from heat, drain and rinse with cold water until the carrots have cooled. 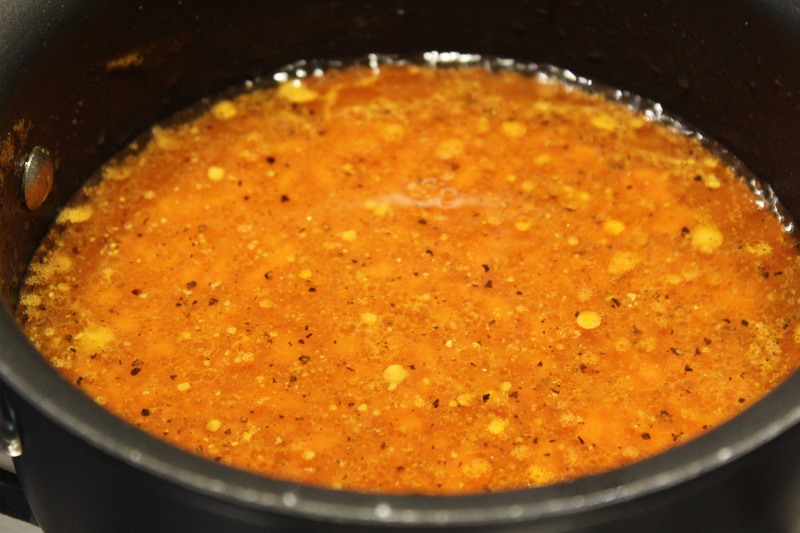 In a medium saucepan, combine the sugar, vinegar, soup, mustard and Worcestershire sauce and mix together until well blended. Season with salt and pepper to taste. 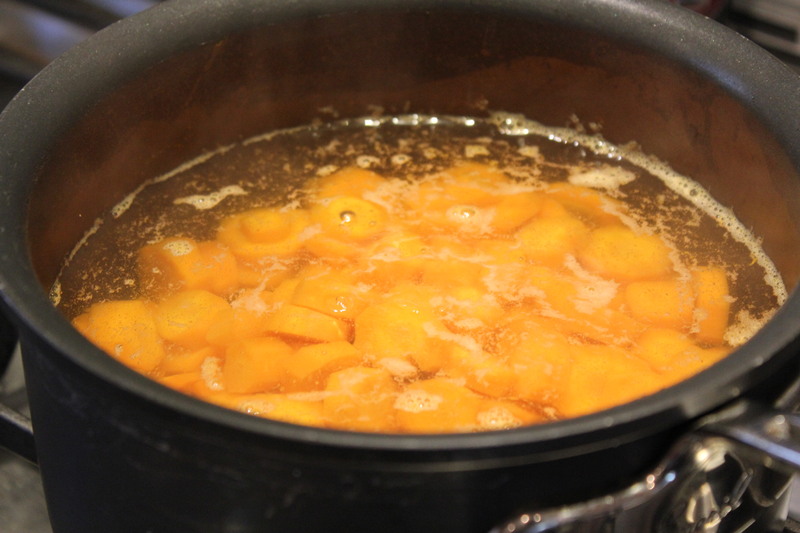 Bring the mixture to a boil, turn down the heat and simmer for 5 to 10 minutes. Remove the marinade from heat and let cool for 15 minutes or so. 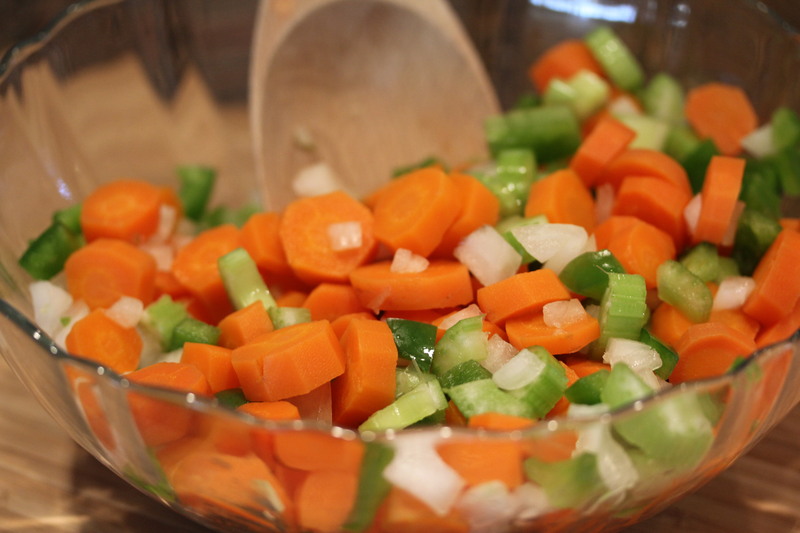 In a large bowl, mix together the carrots, celery, green pepper and onion. Pour the marinade over the veggies, stir well, cover and refrigerate overnight so that the flavors have a chance to blend together. 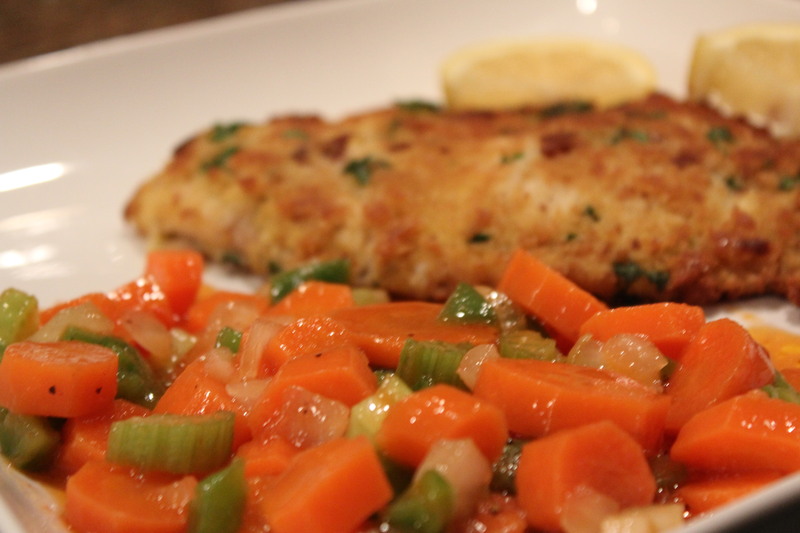 Serve as a side dish or as a main meal. This entry was posted in Recipes, Vegetables/Vegetarian/Vegan and tagged Copper pennies recipe, eat drink and be merry, Kel's copper penny salad recipe, Kel's marinated carrot salad recipe, Kelley Chisholm recipes, Marinated carrots, vegetarian recipes. Bookmark the permalink.